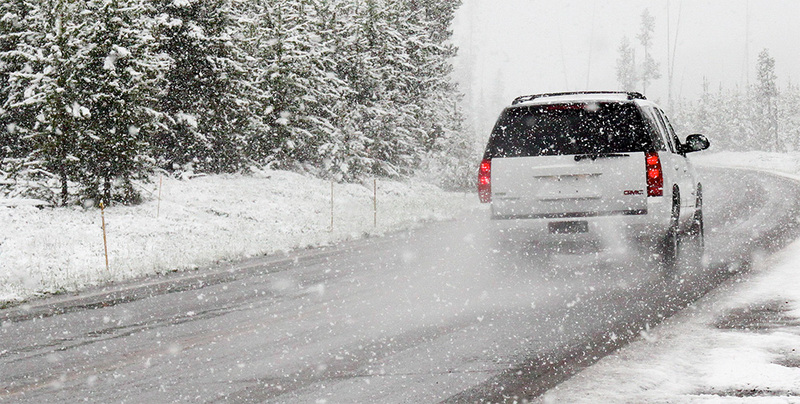 Here’s a few tips for staying safe and keeping your car in prime condition this winter. Old or not, cars need attention. This is especially true when you live in an area that goes through extreme temperature or weather changes. The last thing you need is to get stranded on the highway with your family during a snow storm. 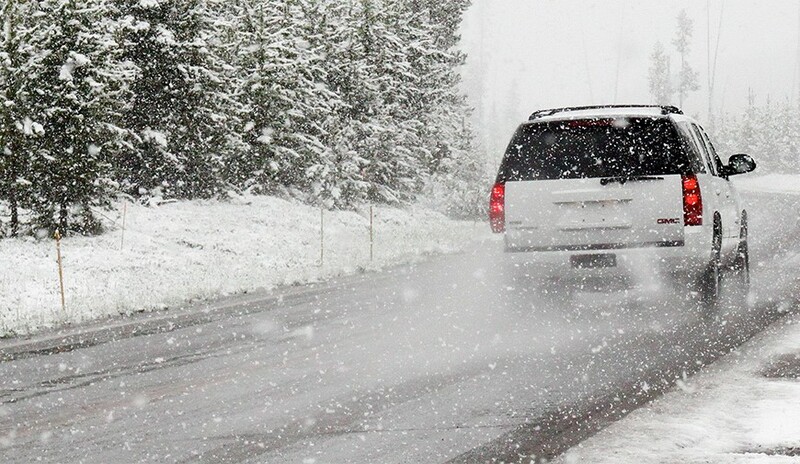 So we’ve come up with a list of winter car prep tips to keep you safe this winter. Inspect your antifreeze while your engine is cold by using a tester to check the mixture for its freeze point. A 50/50 ratio means 50% distilled water and 50% antifreeze, which is sufficient in most climates, except in extreme cold. Have your charging system checked before the winter season hits. Cold weather starts make the vehicle battery work much harder and getting stranded in the cold is no fun! Clean, high quality engine oil goes a long way in protecting the motor in cold start situations. Use the oil recommended by the vehicle manufacturer. Visually inspect all lights; marker bulbs, tail lights, third level brake lights, especially headlights and driving lights. Daylight savings time requires bulbs to work longer hours. Tire Tread condition; check it yourself, or have it checked. Winter driving requires good traction in snow and ice. Quality tire tread sheds the snow, ice and road grime more quickly, providing better traction for improved safety. Check your tire pressure regularly, especially in colder temperatures. Follow the recommended PSI found on the driver’s side door post for maximum traction. Visibility is key to your safety; make sure that your wiper blades are in top condition, to fully clear your windshield, and back window if the vehicle is equipped. Road salt and slush can jeopardize visibility. Use washer fluid containing de-icer and Rain-X Treatment on windows to avoid the chiseling of ice early in the morning. Cracked, frayed or worn out rubber won’t stand up to temperature extremes. Don’t get stranded on your next trip because of a $10.00 belt or hose! Outside contaminants from Fall and Summer driving are stranded in the cabin air filter and running the heater on “high” in the extreme cold only sends the micro-particles deeper into the vehicle. Protect your vehicle’s paint. Rain, snow and salt are extremely tough on paint. A tough coating of quality car wax will add another barrier in-between road grime and your vehicle’s paint. Last but not least, prepare a roadside emergency kit including a flashlight with fresh batteries, a blanket, food bars, water bottles, cell phone, jumper cables, flares, Fix-a-Flat, HELP Sign, and a first aid kit. Winter is very adverse condition for car drivers. In this season a proper maintenance should be taken for vehicle. Visibility is the main safety aspect for car during winter. So be sure wipers are in good condition. Use washer fluid to clean your windshield wiper. Doing a routine tire inspection is a right way to ensure your tires are safe and at peak performance. Hence also keep eyes on your tire. For more information please visit https://www.fastlaneeuropean.com/ . Due to fall in temperature of the atmosphere during winter season it directly effects on the performance of the car due to changing shape of the tire, brake etc. To antifreeze your engine you should inspect the condition of the antifreeze by checking its mixture of distilled water and antifreeze with equal proportion of 50 percentage. Oil and oil filter must be replaced with good one to keep the engine in running condition. Tire pressure should be kept in its best condition to perform properly on the road. To keep your car in top-notch condition to perform during the cold days you must do your car serviced at a reputed car service center like https://sbautowerks.com/services/. Replacement of comparatively thinner fluids( You may like to visit: http://www.cerroneseuropean.com/services) is really essential during the winter season. Fluids with higher viscosity thickens due to the extreme temperature of the winter. So, by replacing such fluids with thinner substitute, we could prevent thickening of such fluids and could ensure smoother performance of the vehicle. Extreme temperature of the winter season also has negative impacts on different components of the vehicle including the battery. So, the condition of such components needs to be evaluated and if damaged, then should be replaced with suitable substitute for better results. Thanks for sharing a commendable insight on winter car care. I hope this enlightenment will help many motorists in preparing their speed machines for the winter battle. For us, winter is a great time to have some amusement by making a snow ride. But for our road companion, the hog spell is killing, damaging, and destructive. Thus, prior to opening the throttle for a navigation on the snowy thoroughfare, make sure you have to do all the requisite maintenance upgrades. Last time, when I was winterizing my Audi- https://www.topendoc.com/audi-repair-costa-mesa/, I had left out some of its maintenance procedures. My ignorance had given me a huge sorehead after some days. So, it is advised to do all the maintenance errands under a professional’s trained eye, by which you can get a ease of satisfaction in the end. 2017 November Feast of Savings!